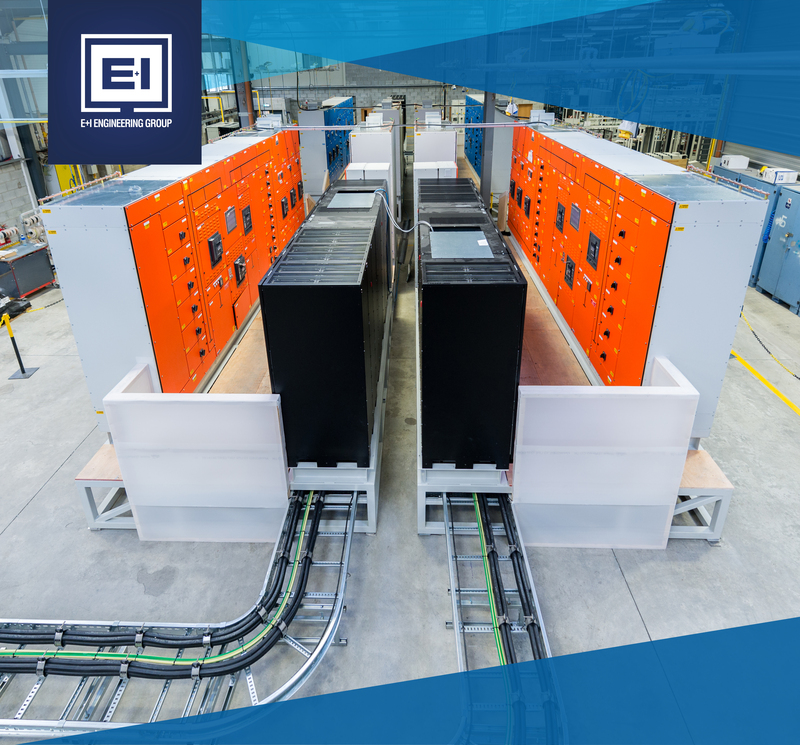 E+I Engineering can install a typical 2.5MW modular power skid in 20% of the time required for a conventional installation. Find out why more data centre engineers are adopting this method of power distribution. Speed of deployment is often a huge concern for end users, consultants and contractors. An inability to quickly adapt to increasing power requirements can be detrimental to business operations. The implementation of modular power fabrication has had a significant impact on the overall program delivery timeframe, reducing the program duration from concept development through to installation. Depending on the scale of the program, 12-24 months may be required to complete a traditional data centre build, compared to the 8 months or less typically required for Modular Fabrication. As all power skids are pre-fabricated and tested in a factory setting, the process can take place in parallel to site construction of the building. This reduces the time required for the on-site program by approximately 75% resulting in minimal disruption to on-site operations. The modular approach to power distribution is a smart option for data centres if there is any uncertainty surrounding future business growth, as systems have the flexibility to be upscaled as and when power requirements grow. This flexibility for a more gradual approach to expansion helps to minimise financial risk and enables building managers and engineers to manage their budgets more effectively. The more simplistic the process, the more likely the project is to stay within budget. For instance, as the infrastructure is built within a controlled factory environment and then transferred to site as a fully integrated power solution, there is less chance of any issues arising on-site that could potentially cause delay and incur costs that have not been accounted for. Similarly, as the power skid is built only once and then shipped to site, on-site man hours will be significantly reduced, resulting in a lower labour cost. In order to upscale the power capacity of a data centre, physical space is required to house new infrastructure. However, expanding a current facility or acquiring a new ‘brick & mortar’ facility for this purpose can be extremely costly. Unlike traditional methods, modular power fabrication gives data centre managers the flexibility to house their modular switch rooms in a convenient space outside of their current building, eliminating the need to commit to any long-term lease agreements or purchases. Pre-fabricated modules are much more energy efficient than traditional electrical rooms as the power and cooling system controls are pre-engineered to be better integrated. In addition to this, manufacturers are required to publish expected efficiencies for the system, which have been derived through an intensive testing process. Pre-fabrication of the infrastructure also means that it is not as likely to be affected by any on-site construction issues, providing more accurate predicted efficiencies which enables data centre managers to benefit from energy cost savings. During the installation phase, on-site man hours can be reduced by 84% with 77% less lifting operations required compared to traditional installation. This significantly decreases the risk of accident or injury on site. Additionally, all power skids undergo rigorous Factory Acceptance Testing (FAT) in a controlled environment before being shipped to site as one unit. As there is no need for the skids to be deconstructed for shipment, data centre managers can be assured that without further testing, all infrastructure meets the required safety standards as assessed during the FAT. In situations where a business is operating from a leased facility, it is important that contingencies are set in place to overcome any challenges relating to rental costs or lease terminations etc that could potentially arise. As the power infrastructure of a data centre can be costly to implement and is critical to the operation of the business, it is vital to ensure that all necessary infrastructure can be transferred to a new facility in an efficient manner should any unforeseen circumstances arise. In this case, the portability of prefabricated modules is extremely beneficial as infrastructure can be moved in one piece, causing less disruption as there is no need for re-construction or re-testing at the new facility. As the final installed solution has been constructed and tested under factory-controlled conditions, a level 2/3 completion tag can be achieved before it has been shipped to site – As a result, the power skid will arrive at the data centre in the same factory quality condition that it left the warehouse in. This assurance gives data centre managers confidence in the functionality of the infrastructure they have purchased without any requirement for further on-site testing. Additionally, the power skid would have a reduced risk of any aesthetic damage that may have occurred from other trades during an on-site installation. The on-site integration of a pre-fabricated power module is less complex than traditional integration, as each power skid arrived fully inter-wired, commissioned and ready to hook up. All PMS interfaces are pre-wired to the PMS hub within the power skid reducing On-site PMS to a single fibre connection. As a result, infrastructure can be integrated with a quick turnaround time and minimal disruption. 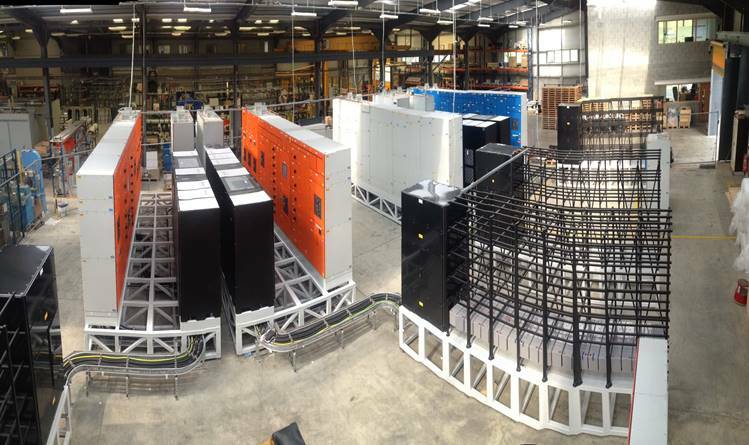 The introduction of Modular Power Fabrication has revolutionised the process of data centre construction, creating a more streamlined process than traditionally followed. This new modular approach enables data centre managers to avail of cost, time and space savings whilst at the same time increasing quality and safety standards throughout the process – In turn increasing the efficiency of business operations.